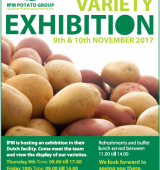 IPM has an extensive portfolio of varieties for organic production: Colleen, Orla, Setanta, Kikko, Druid, Cara, Ambo, Banba and Barna are among the best cultivars available in the market for this purpose. Organic Agriculture is one alternative production method which emphasises the use of more environmentally friendly agricultural processes arising from a perceived deterioration in food safety and food quality – including taste. People all over the globe are questioning the way food is produced. The use of chemicals in vegetable production for purposes such as fertilisation or crop protection has fashioned the debate on whether or not these practices contribute to deterioration in food safety or harm the environment. Global warming and the changing environment around us have focused our minds on how humanity’s practices in all walks of life affect our planet. Organic Agriculture is a safe sustainable farming system producing crops with minimum impact on the environment and claims to generate cleaner, healthier and tastier products. This is achieved by excluding synthetic fertilisers, pesticides and genetically modified organisms in its practices. 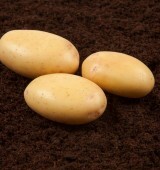 Organic farming poses a significant challenge to any potato variety claiming to be suitable for this purpose. Such a variety must satisfy the producer and consumer alike. For this reason, IPM will continue to invest in research and breeding to keep on bringing to market the varieties which will meet such demands. Learn more about IPM Varieties for Organic production by visiting our Variety Portfolio page or clicking on the links above.